On July 7, 2016, the Department of Veterans Affairs released its official accounting of suicide deaths among veterans, averaging 20 per day. This has fueled demand for answers among the Congress, VA, CDC and the Obama Administration. 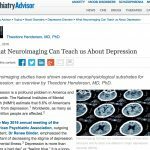 Today Psychiatry Advisor published an article by Theodore Henderson, MD, PhD, co-Founder of Neuro-Laser Foundation, outlining how neuro-imaging diagnostic tools available for PTSD and TBI are available to avoid these tragic endings. This news can provide guidance to veterans, psychiatrists and other medical professionals tasked with treating these two, previously thought to be untreatable, conditions that are common among suicide victims. Dr. Henderson, along with co-Founder Dr. Larry Morries, have a heart to help our country servicemen and women through the Neuro-Laser Foundation and “Say Goodbye TBI” campaign. The Drs. 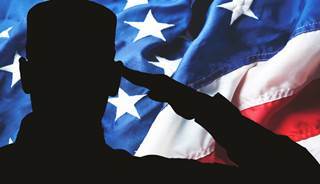 are raising financial support through it’s non-profit organization to help provide treatment for qualifying veterans at a low, or no-cost to them and their families. According to the article, the Congressional Budget Office estimates 400,000 service men and women have TBI (traumatic brain injury) or PTSD (post-traumatic stress disorder). The challenge, according to Dr. Henderson is distinguishing between the two conditions. Often, they can have similar symptoms, and therefore receive similar medications. However, Dr. Henderson says many medications used for patients with PTSD may actually exacerbate the problem if the symptoms are, indeed, a result of a TBI. According to Dr. Henderson, among the 400,000 or more Veterans with either TBI or PTSD, there is tremendous overlap both in terms of diagnosis and of symptomatology. The overlap is estimated to be 33% to 42%,7 but may be considerably higher. Adding complexity, a study of patients in the VA system revealed 73% of patients who reported TBI were also co-morbid for PTSD. Parsing out who has PTSD, who has TBI, and who has both is a critical issue for veterans. In the September 2015 issue of Brain Imaging and Behavior, a landmark paper on this question was published by a multi-center team of clinician-scientists. This group examined the neuroimaging data of 196 military and Veteran patients who had undergone SPECT imaging, which is a functional neuroimaging modality based on the intimate relation between neuronal activity and local oxygenated blood perfusion (the same principle upon which functional magnetic resonance imaging or fMRI is based). “We found TBI could be distinguished from PTSD using SPECT with 94% accuracy, and the ability to distinguish PTSD from co-morbid TBI+PTSD was 92%. The “Heroic Bonus” is this study cost taxpayers nothing. 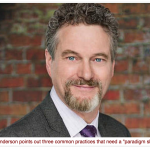 Read the entire article on Psychiatry Advisor for the names and roles in the study, including our own Dr. Henderson.